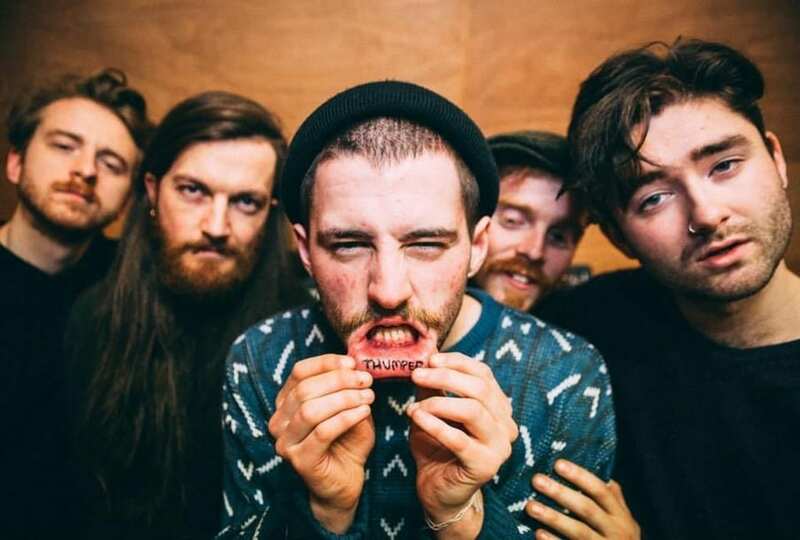 Dublin five-piece THUMPER (always in capitals, as the band likes to reiterate) are here to school us in pounding rhythms with the release of their latest track ‘(You’re Bringing Me) Down’. Girl Band producer Dan Fox helps craft the quintet’s seven-minute epic of erratic psych-influenced noise rock into a true audio assault. Nonsensical lyrics and crashing couplets are barked over the band’s wall of sound – “Well I came round the bend sucking on my thumb / But everybody says that I’m the lucky one” – yet the chorus feels buried under layers of scuzzy 90s-inspired riffs. Opt for the radio edit to avoid minutes of howling feedback. Drawing on their frenzied live reputation, THUMPER’s sound on ‘(You’re Bringing Me) Down’ is an exercise in cheerful self-depreciation and, whilst not bringing anything totally new to the table, is no less fun. The guys’ new EP Out of Body Auto-Message drops next month.